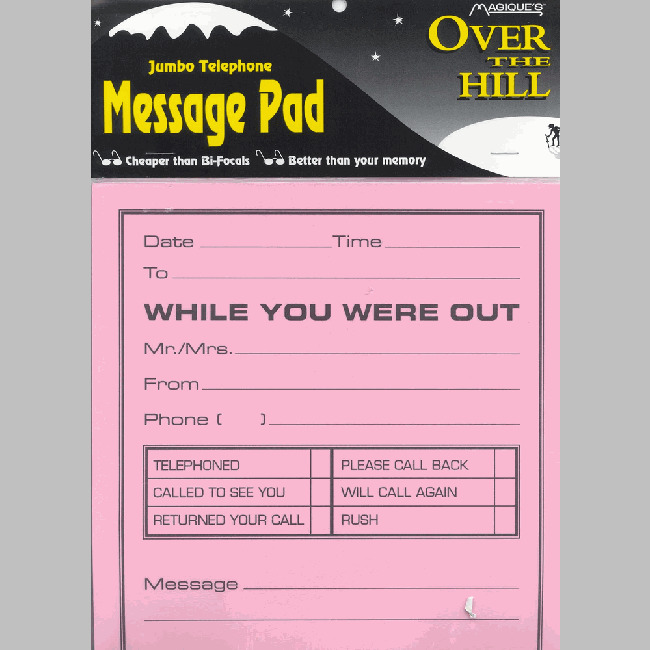 Fun Over The Hill item. 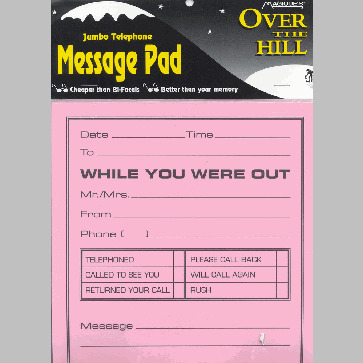 JUMBO Telephone Message Pad that measures 11" x 8 1/2" for those Over The Hill friends who are losing their eyesight due to their old age! Great birthday gag gift. Birthday Party Favors.